The elementary education with a concentration in Christian education and missions is designed for students who want the flexibility and opportunity to integrate service and teaching in an educational mission setting. This State Department-approved elementary education program with a Christian education and missions concentration opens up teacher education to those who want flexibility and opportunity to integrate service and teaching or desire to teach in an educational mission setting (abroad, non-profit organization, missions organization, private Christian school). Students are able to explore aspects of Christian education, laying the foundation for excellence in Christian educational leadership. The program also provides the opportunity for teachers to integrate their faith and vocation. This program is designed to give students a broad, multidisciplinary approach to Christian education within the context of a local church or mission field. The program provides students with the academic rigor and practical experience necessary to successfully minister to children and youth, as well assist them in their spiritual formation. Students will gain a deep understanding of biblical principles, as well as pedagogical strategies, to effectively communicate the Gospel to children of all ages. In addition, students will also develop an awareness of how to engage families as partners in the spiritual development of children. Our students need choices and options; they want more variety in clinical placements – placements that could be in a global or local mission setting. These course additions will have practical aspects; they have been designed to support the work of teachers in a mission setting as well as K-12 public/private education. These are not students who necessarily feel called to formal ministry; however, they are called to work with children in a mission/alternative setting. Students pursuing this degree would be prepared for any aspect of Christian education including missions outreach and children’s and youth ministries. International placements as well as field placements in local schools. Students interested in serving as missionary teachers or in some other capacity in a foreign culture may obtain a concentration in Christian education and missions. 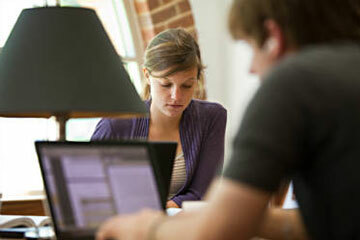 The concentration in Christian education and missions is available to all undergraduate Samford students.